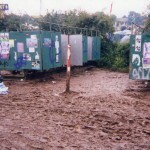 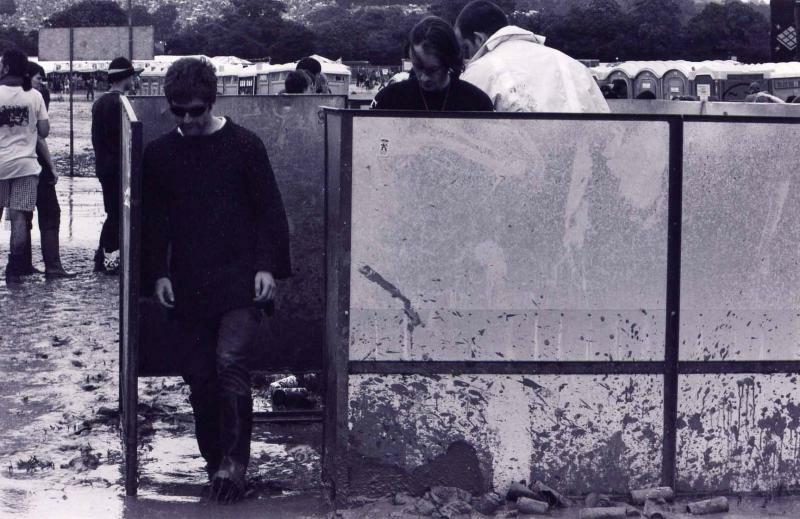 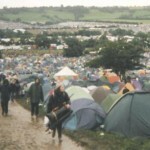 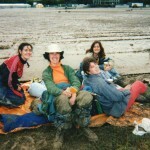 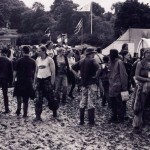 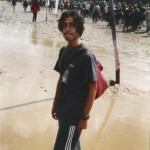 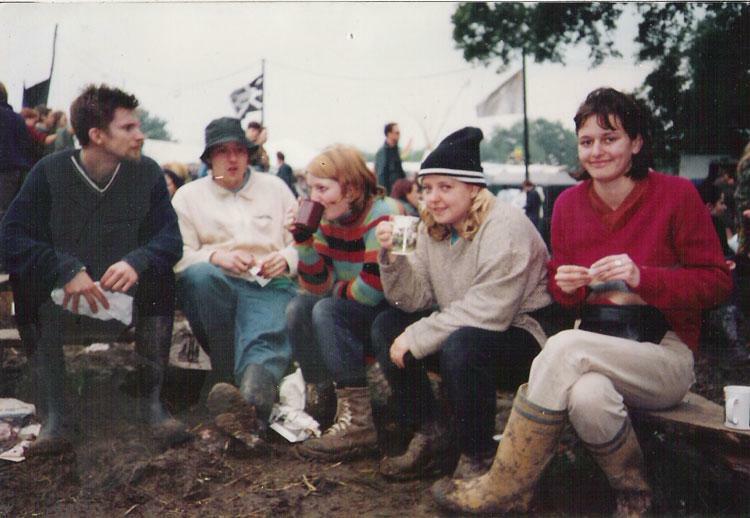 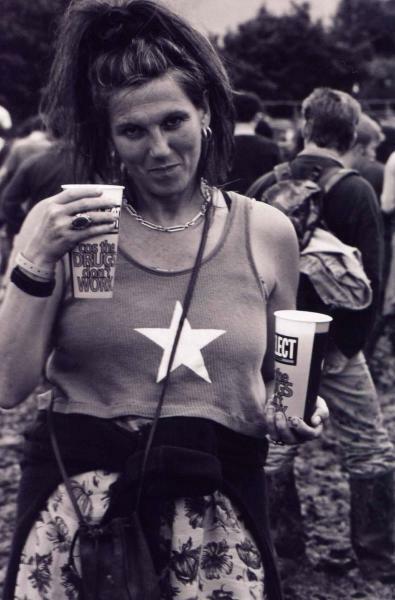 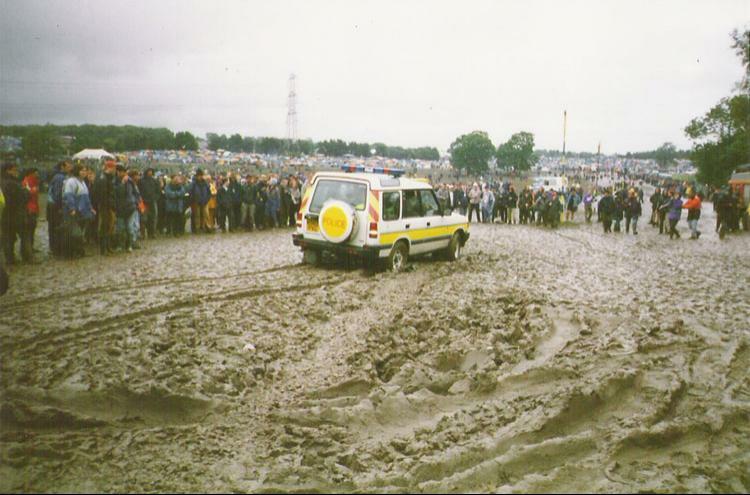 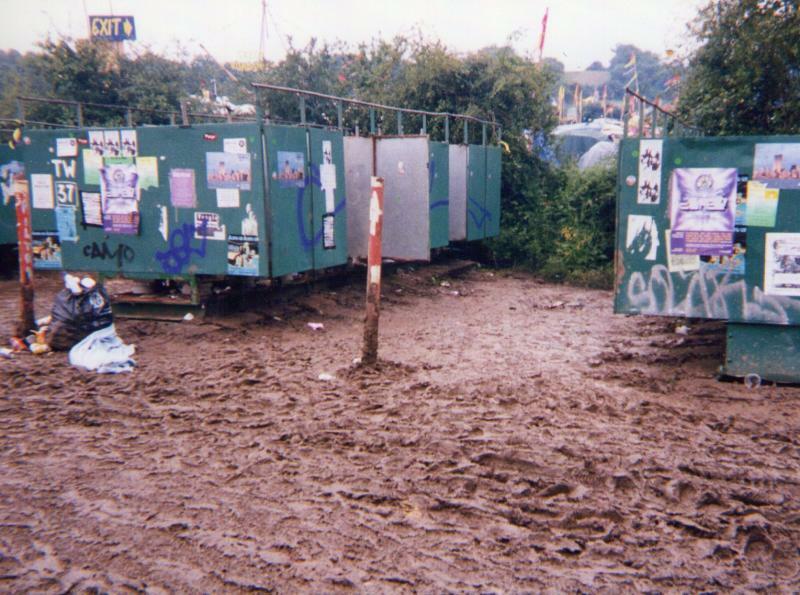 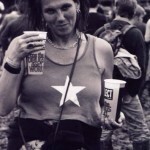 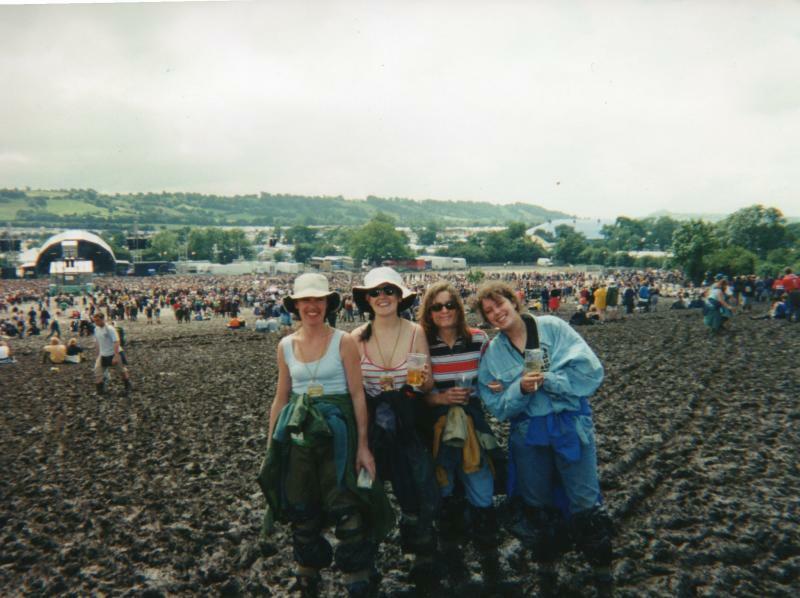 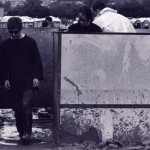 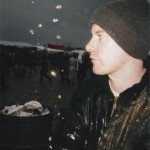 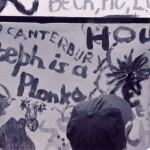 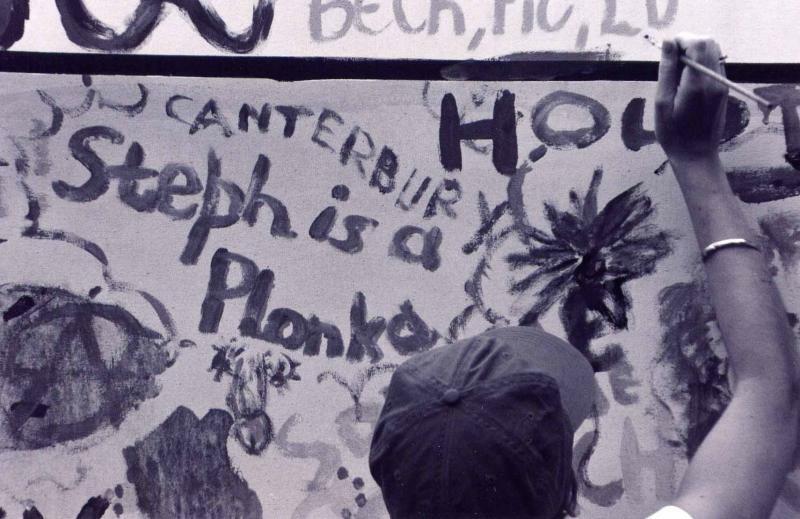 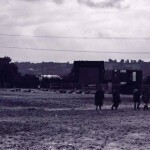 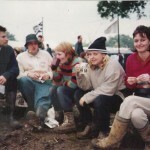 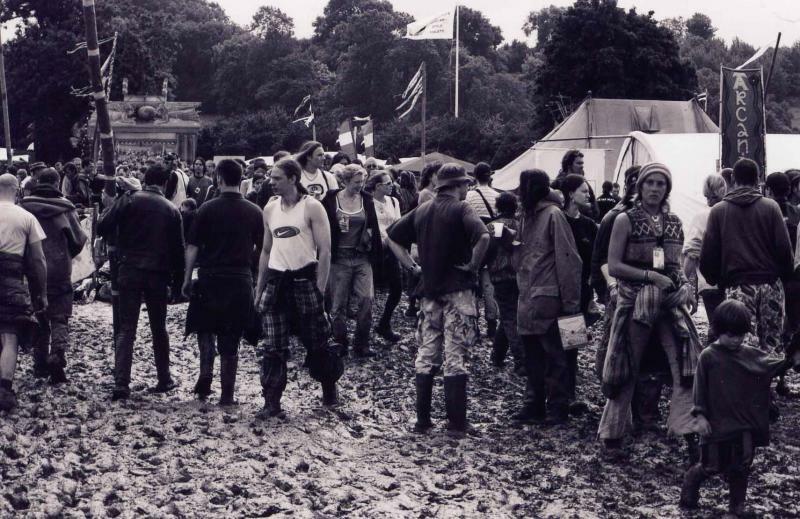 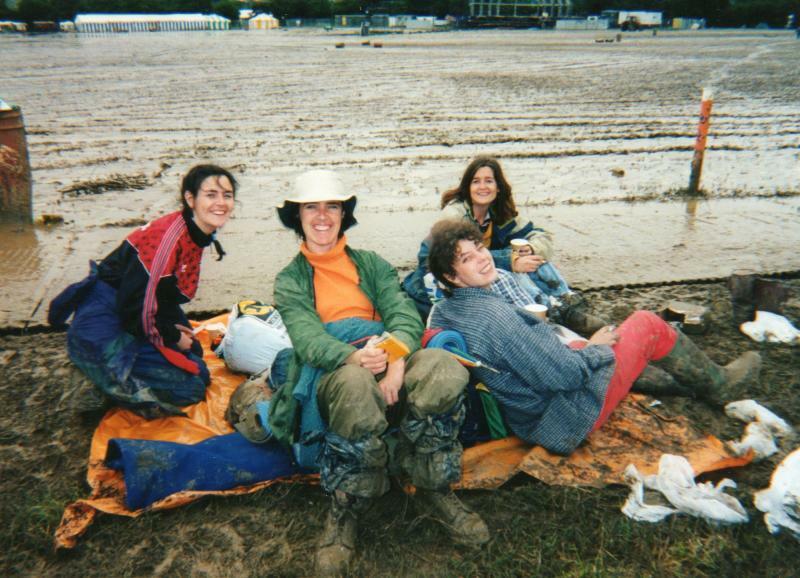 Sunday 1998 thick squelchy mud up on the hill by the acoustic stage..
Pyramid hadn't been rebuilt by then, after '94, but this is the main stage...waiting for Robbie I think....weather not detering us as you can tell!!! 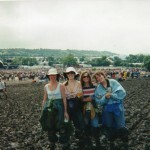 leaving Monday morning....mud everywhere but a brilliant weekend!!! 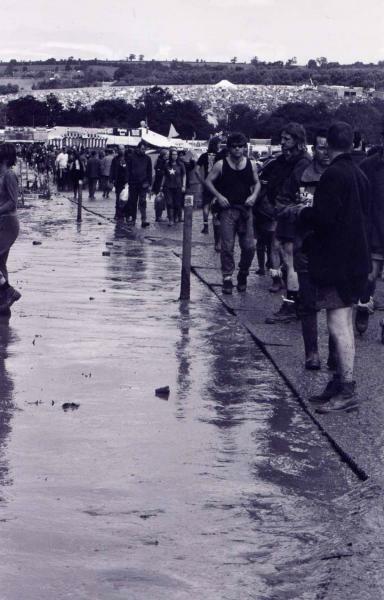 Big muddy puddle in the markets. 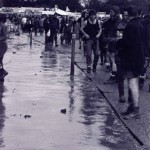 Washing in rainwater after a fall in the mud. 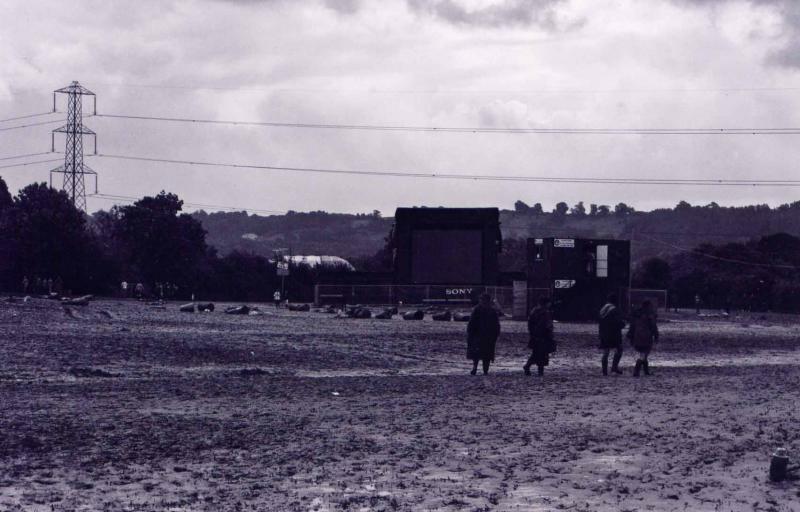 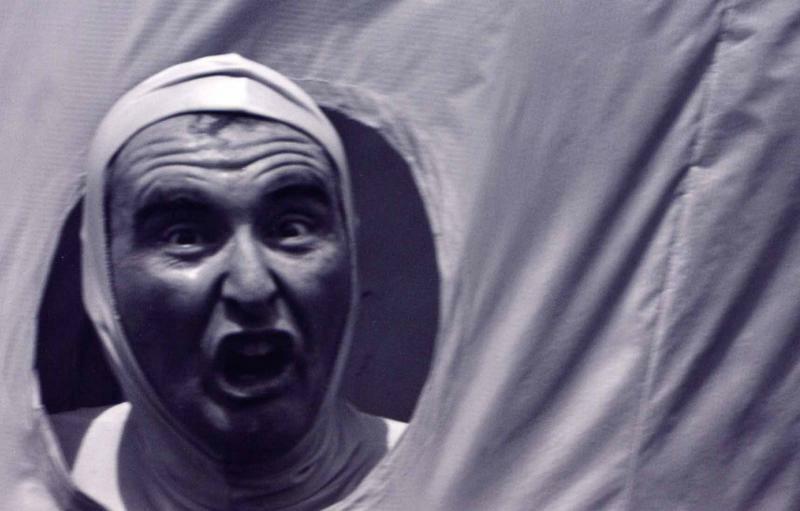 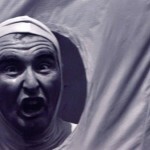 Trudging up to the cinema field to watch the World Cup, I think. 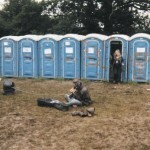 An excellent hippy having a psychedelic freakout with his guitar and amp in the mud by the toilets. 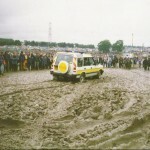 Meat wagon stuck in the mud in the main arena.